A Google Doodle is a temporary alteration of the Google logo made to raise awareness for a cause, commemorate an event, or celebrate a holiday. Clicking on a Google Doodle will lead you to more information about the person or event depicted, but today’s Google Doodle is something extra special. March 21st marks the 334th birthday of the 18th-century German composer Johann Sebastian Bach. 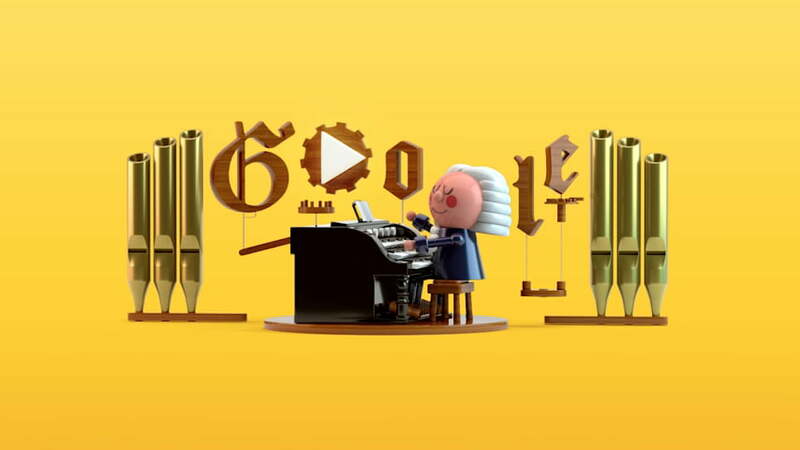 To honor the famous composer, Google decided to do something new. They used AI and machine learning to create the first intelligent Google Doodle. In case you aren’t able to access the Doodle, you can go here to try it out for yourself. In today’s blog post, Google talks about the journey they embarked on when creating the Doodle. Leveraging the power of machine learning, Google was able to train their AI on 306 of Bach’s chorale harmonizations. Users who interact with the Doodle can make their own melody and have it converted into Bach’s style of harmonization. Google’s Magenta Team and PAIR Team came together to create this unique interaction between user and web browser. This is a first for the search giant, and it is definitely an impressive feat. The entire experience is fun and easy. There is even an option to download your musical creation as a MIDI file should you decide to set it as your ringtone or message tone for your smartphone. There is also a clever easter egg hidden in the Doodle that will let you create Bach’s harmonies in an 80’s rock style (hint, click on the amp to the far right of the board). Considering the strides that Google continues to reach in the world of AI, this is a great step for making their Doodles more interactive for audiences. This is definitely a great way to pique interest and curiosity about the almost daily Doodle as well as the genius of Bach.